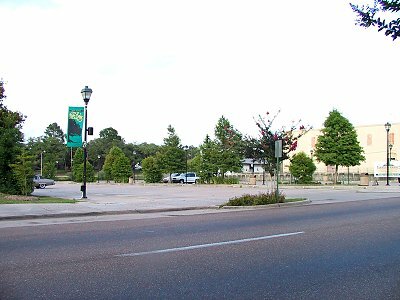 One of the big keys to succes in the "Operation Impact" that rescued downtown New Iberia a couple of decades ago was the creation of this parking lot at the northwest corner of Iberia and Main Streets. 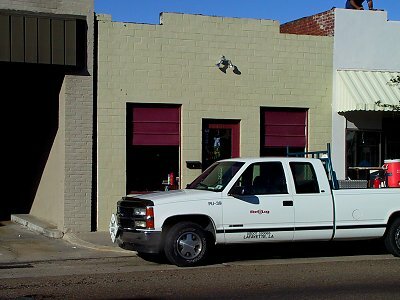 Downtown street festivals and the twice-weekly farmers market are held here. 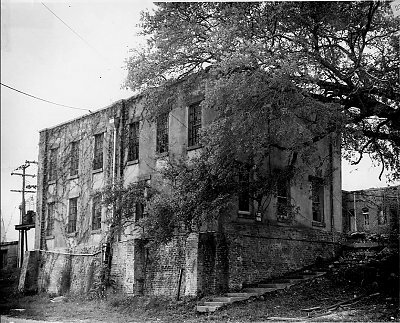 Historic: One of the civic buildings that made way for the parking lot was the old bayou-side city jail. Historic: ca. 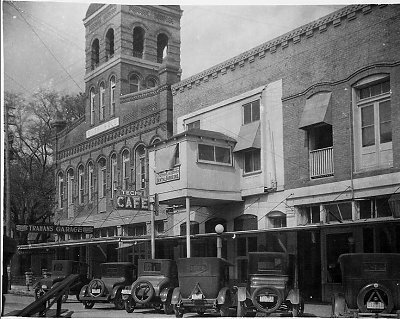 1930 City Hall which was demolished in downtown renovation plan that gave birth to parking lot and Bouligny Plaza. The park space created by Operation Impact includes this gazebo, used for downtown music days, etc. 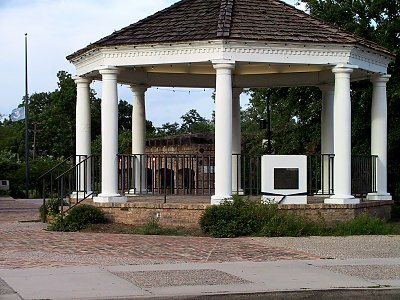 Detail: Bouligny Plaza, behind the gazebo, is presided over by the bust of Lieutenant Colonel Francisco Bouligny, the Spaniard who is the putative founder of New Iberia. 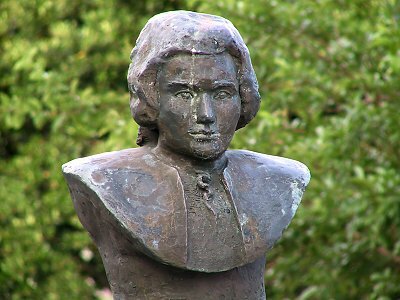 School children in the 1970s collected pennies in class to pay for the bust. 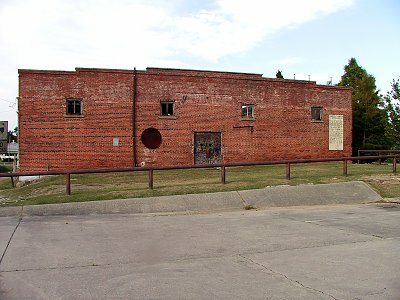 This old warehouse will be renovated into a public facility through grants obtained by the city, creating an indoor home for some activities now held in the parking lot (see above). 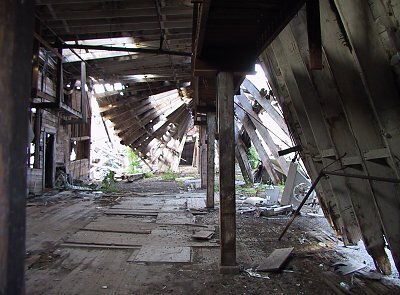 Detail: The collapsed roof fills the interior of the old warehouse, but the outside walls are secure enough for a new roof to be put on and the builing to be made useable. 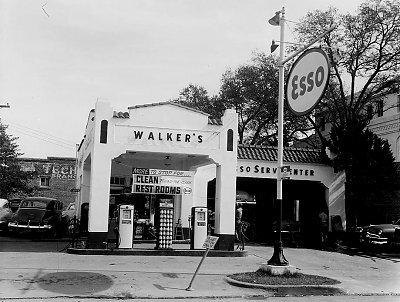 Historic: Walker's Service Station once stood between the warehouse and Main Street. Historic: Also in this stretch where there is now a small parking lot and access. 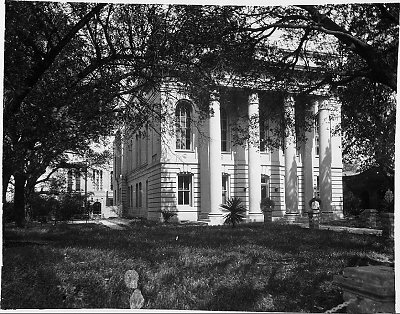 Magnificent old court house that came down in the early 1970s as downtown was being cleaned up. 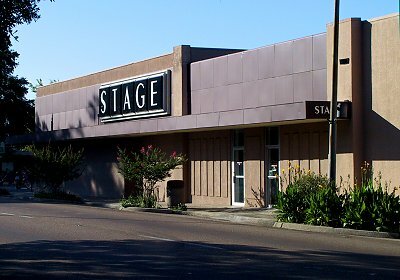 By the time I was in grade school, this had been converted into the Colonial Theater, and from the street to the cinema was a covered arcade, on the east side of which were the plate glass windows of Gary's Drug Store, where the proprietor was inclined to put on display the most marvelously appealing brightly colored toys in their boxes. Or at least that's all I saw! 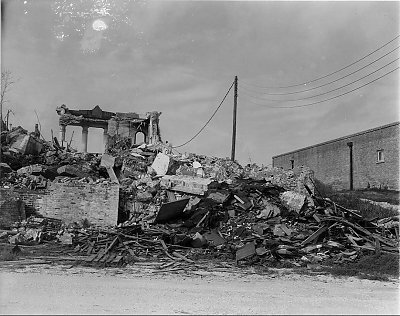 Historic: Demolition of old court house. 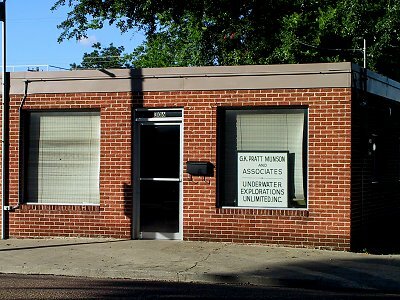 This now serves as the home of a computer consulting company. 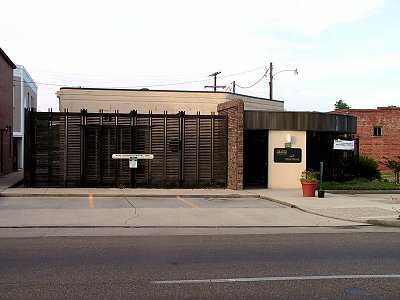 Very successful renovation/restoration of an old office building into the current offices of a public relations firm. 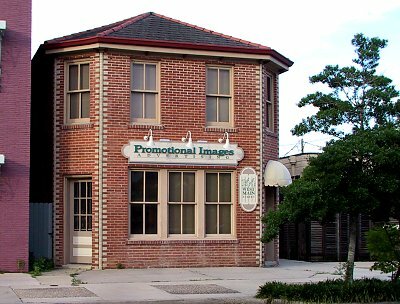 At one time, offices of a life insurance company. 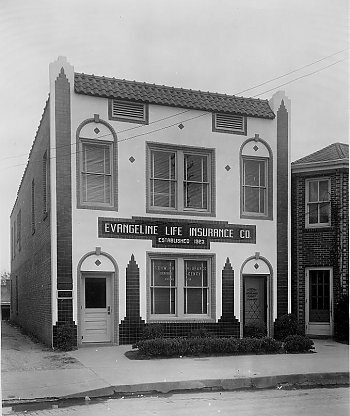 Historic: Evangeline Life Insurance office building. 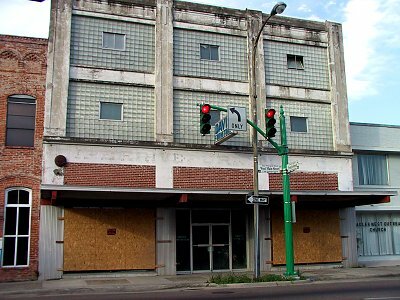 A good candidate for restoration? 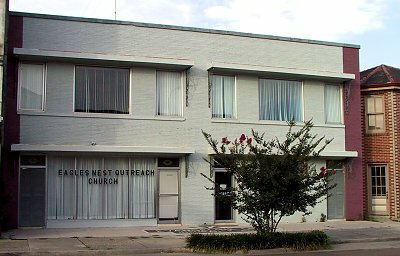 There's a lot of space in this building! 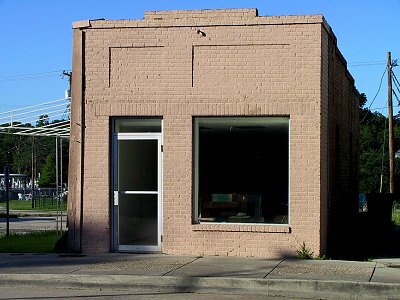 Renovated office space, restoring the original brick facade. 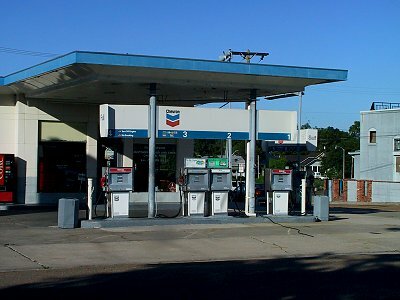 We gladly patronize this station that still has old-fashioned service. 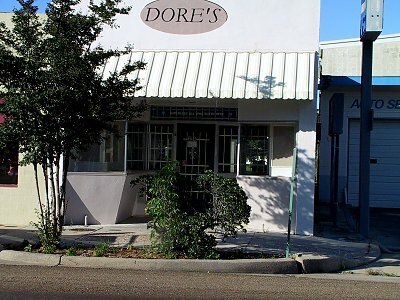 When I was growing up, this was a jewelry store, and the window displays at Christmas time were the most magical and compelling theater I can remember experiencing. When the store went out of business in the early 1980s, we bought some wonderful post-war newlywed china for practically nothing. 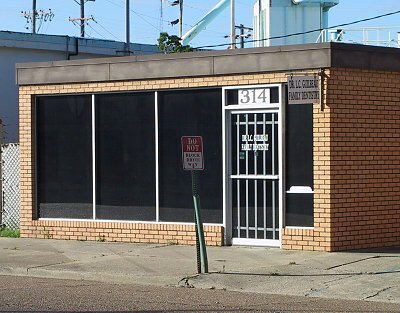 I wish I could remember if this was the site of Slim's Newstand when I was in grade school. 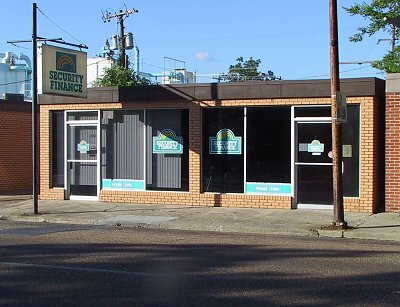 Interesting adaptive re-use; the building on the right is the drive through lane for the bank that was housed in the building on the left. 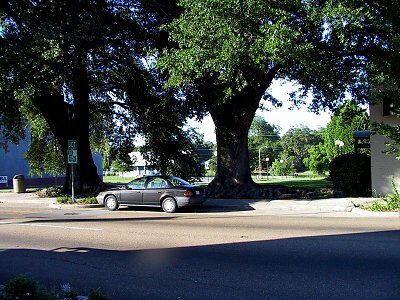 Great old trees and a bank parking lot are what remains of what was once an interesting home site. The bank won an architectural award for preserving so much when creating their new offices in these old buildings and this lot. 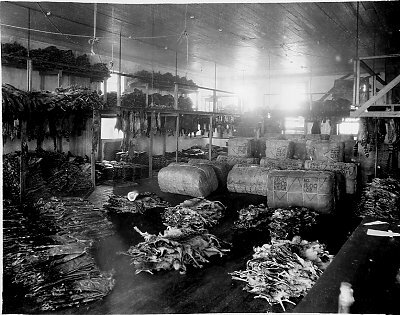 Once the offices and storage facility of a furrier. 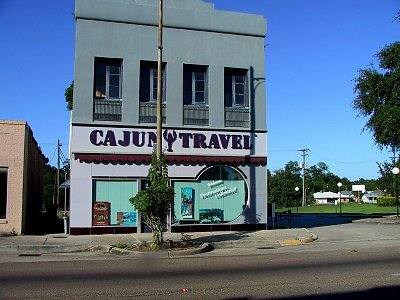 Perhaps the best Art Deco building left in New Iberia, sensitively restored in recent years as a travel agency. 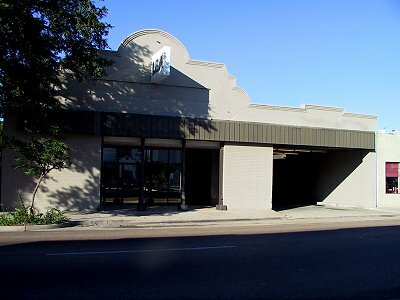 Department store of various chain brands over the years, currently Stage. 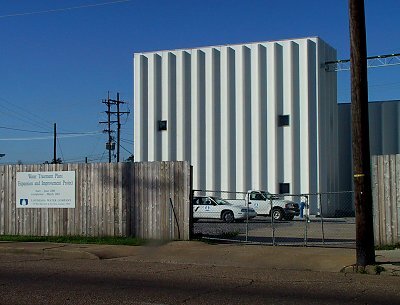 June 11, 2001 Jefferson St. to Railroad Ave. 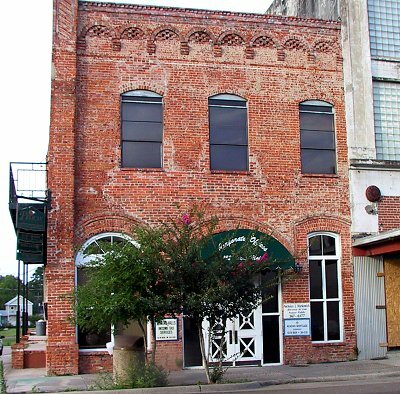 In earlier days, this building went to to the street, with an interesting facade. 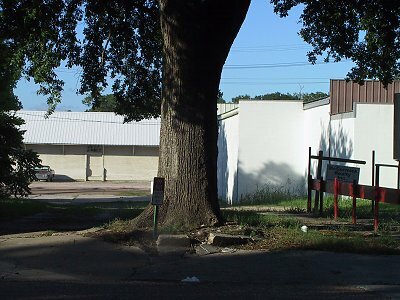 A boarding house once stood here; it burned about 20 years ago. 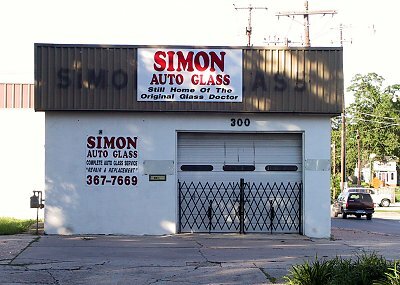 For a time, Susan got her dentistry here. 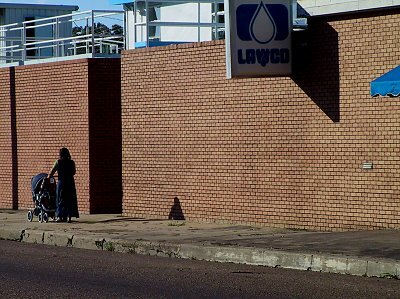 The water company, with a very stark brick wall for several yards of the sidewalk line of the street. Detail: Brand new water treatment equipment.